This page is dedicated to links to interesting articles I stumbled upon or found through multiple blog-hop references. For now I will keep just a running list, I will add to it some structure when it grows big enough. Understanding Cultural Differences in Offshore Outsourcing By Akshay Upadhye Good insights on managing cultural differences in offshore outsourcing; some tips and recommendations. The Hidden Costs of Offshore Outsourcing by Stephanie Overby A great article covering hidden costs on offshore outsourcing from a high level / executive perspective. Includes some tangible data, good examples, some guidance and recommendations. Offshore Outsourcing Models by Mohan Babu Classic encyclopedia style article covering offshore models. It offers slightly different angle on model definition from what I took in my post Outsourcing Engagement Models. 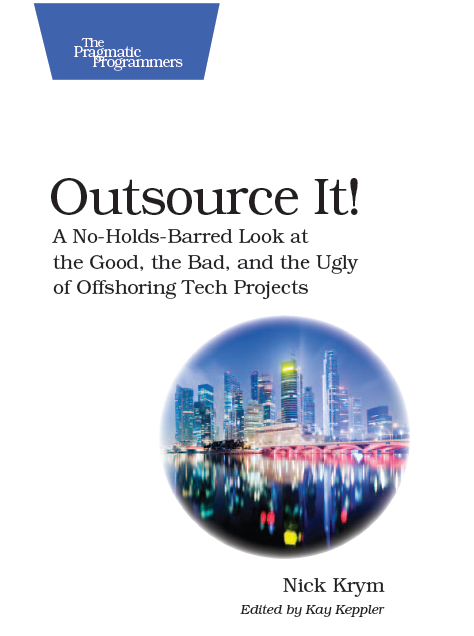 Offshore Outsourcing: The Three- or Four-Year Itch By Stephanie Overby A great article from CIO.com on long term aspects of outsourcing engagements, I agree with almost every point it makes. I plan to write a post on the topic with more tips and techniques. Using an Agile Software Process with Offshore Development By Martin Fowler A classical article covering lessons learned and insights into using agile s/w development techniques for widely distributed teams. I put my comments and thoughts on the subject in Using Agile with Offshore. Internationally Agile By Matt Simons Matt Simons offers additional insight into running distributed agile projects based on his experience at ThoughtWorks.